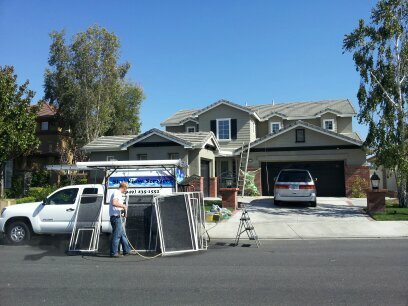 Screen repairs include working on your existing screen doors and window screens. New screen frames can be built to replace old or worn out screen when needed. We can rescreen you’re your existing windows and doors with standard or special screen fabrics. We do pet restraint screens, low visibility screens, and solar screens.